One always hopes for a picture perfect wedding, but it’s no secret that the “big day” also comes with stress and some unexpected hurdles too. A bridesmaid chipped her nail, the groom’s suit has a loose button, and the flower girl got apple juice on her dress…as any event planner knows, accidents are bound to happen. 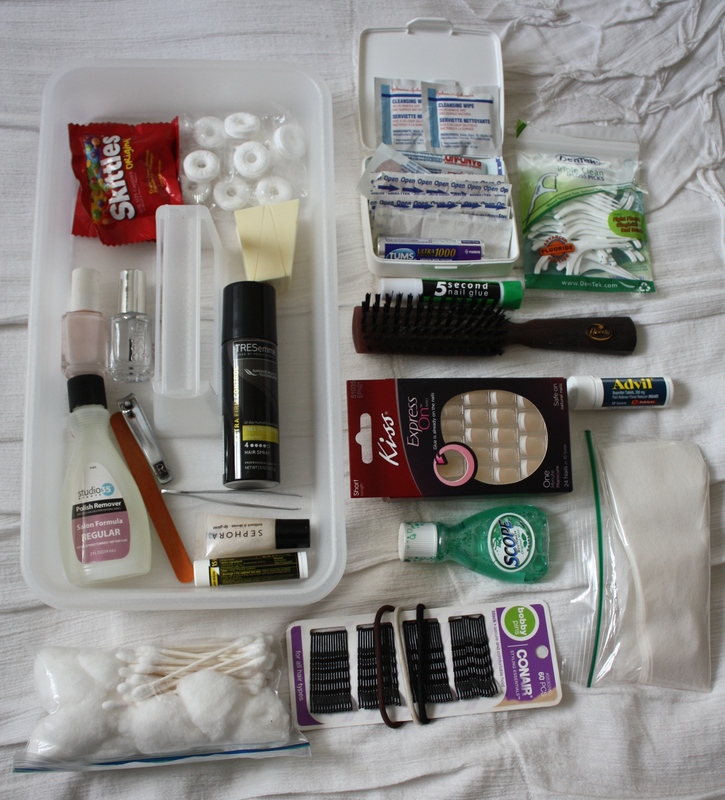 Being prepared with a wedding day emergency kit is essential, and is something all planners always have on hand at events. A properly equipped emergency kit, will ensure that the day will go smoother, whether you’re a wedding planner or the maid of honor. You can download the PDF file here. Below you’ll find common wedding day/event disasters and easy fixes that will make it seem like nothing ever happened. Ask any event planner, and they’ll say their trusty on-site event kit is always at a location with them. Before the actual wedding or event, when stylists are making the perfect day look perfect, that’s when mishaps often occur, so I’ve learned throughout the years which tools come in handy. I remember doing a wedding on New Year’s Eve and having to help the bride fix her bustle with safety pins, after ripping it on the dance floor! Things happen, and it’s always better to be prepared. I learned during my internship at a wedding planning company to use an art supply case. It’s sturdy, easy to carry around and has plenty of space to place all the things needed. I’ve also seen planners use three-pocket jewelry holders like this one. Whichever style kit you use, make sure it works best for your working style and needs. 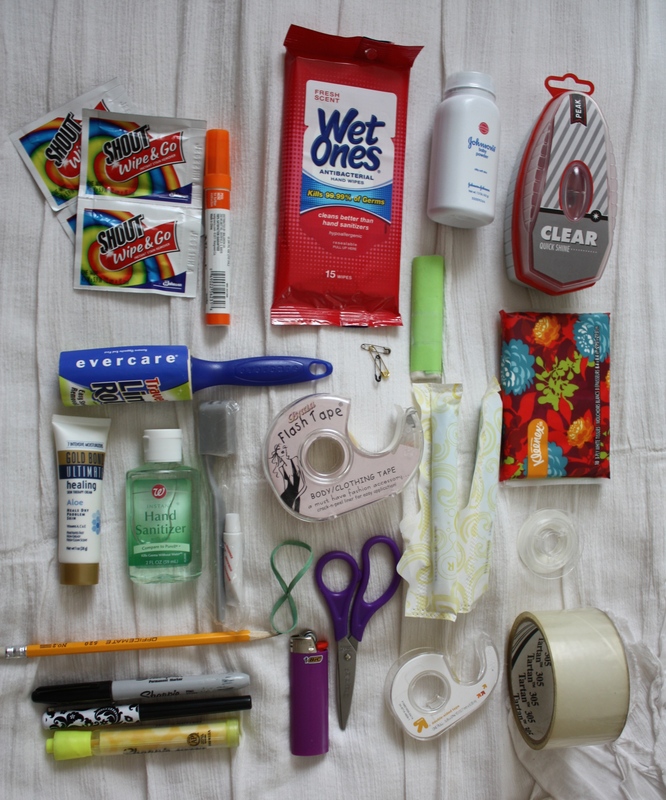 Here’s just a look at my event emergency kit, minus a few crucial tools I load up just before event days. If you see anything on these lists that is missing, please let me know, would love to hear your ideas and suggestions!